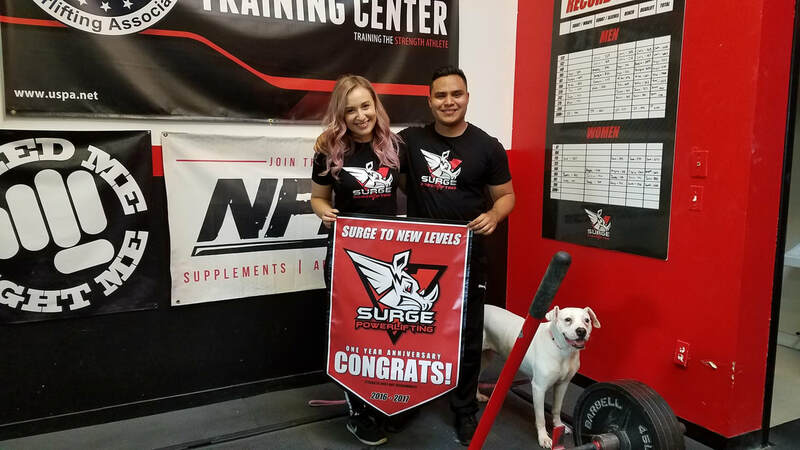 Surge To New Levels Gym is the Chicago Suburbs premium private personal training, powerlifting, and strongman "mom and pop" gym outfitted with everything you need to get in shape, stronger, or perform! Whether it's general fitness, weight loss, strength and muscle gain, or competitive goals; our facility, trainers, and coaches are equipped to help you succeed! Understanding the negative connotation that the word "trainer" can sometimes have our trainers and coaches approach to the instruction of others is educated, personable, and humble. Overall Surge to New Levels stands out in its ability to create a community for both its members and clients. More than just a gym, we are a family that takes the time to understand and get to know each person that walks through the door! "Our motto is strength does not discriminate and anyone interested in learning and growing is welcome!"